Miconicon nail solution is a cosmetic treatment for nail health. It Keeps the nail and the cuticles in good condition. It is indicated for nail disorders caused by external agents. It moisturises and protects the nail, while having a normalising action on the superficial microbial and mycotic flora. This term identifies fungal infections of the nail plate. It is a chronic pathology without any tendency to spontaneous resolution. Onychomycosis is an increasingly frequent pathology and today represents the most common cause of onychopathy. 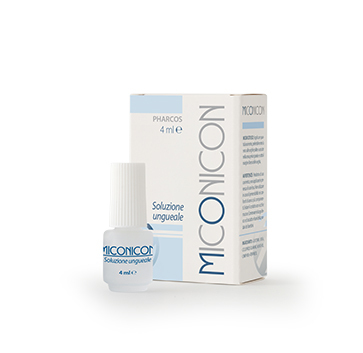 Miconicon nail solution is a cosmetic treatment for nail health. It keeps the nails and the cuticles in good condition. It is indicated for nail disorders caused by external agents. It moisturises and protects the nail, while having a normalising action on the superficial microbial and mycotic flora.